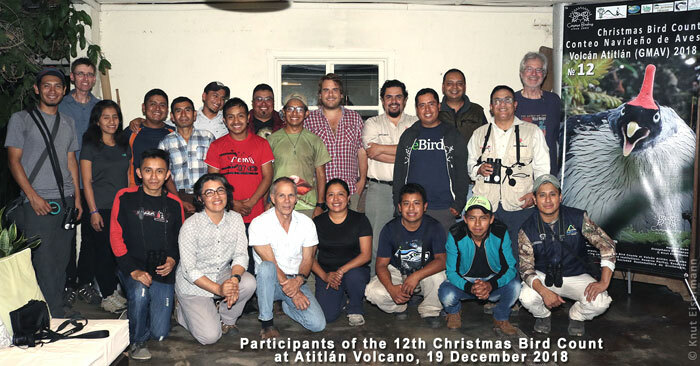 Participants of the Christmas Bird Count at Volcán Atitlán, 18 December 2016. Eisermann, K. (2010) Citizen Science: Bestandserfassungen in Guatemala. Falke 57: 202-207. K. Eisermann served as data reviewer for eBird Guatemala from 2008 to 2015, an online data storage for birders developed by Cornell Lab of Ornithology and National Audubon Society.